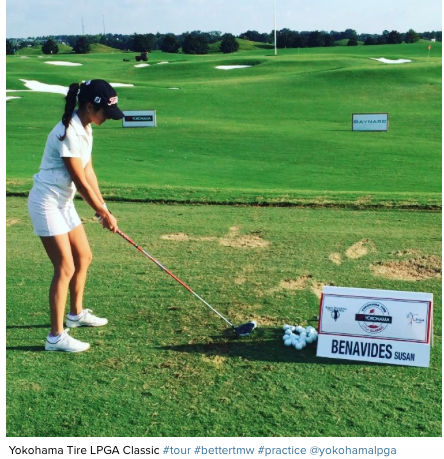 It’s too early to tell if Susana Benavides will ever achieve her dream of playing full time on the LPGA Tour. But no matter where her career takes her, the Bolivian beauty is bound to turn heads. Benavides, the only Bolivian-born golfer to ever play in an LPGA event, also happens to look like she could represent her country at the Miss Universe Pageant. Come to think of it, why isn’t she Miss Bolivia with this swing? I welcome Susana Benavides to The Hall of Bolivian Fame! This entry was posted in Bolivia and tagged competitiveness, sports. Bookmark the permalink.